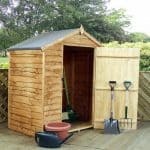 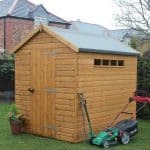 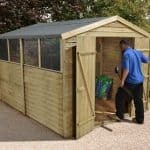 This Double Door Premier Tongue and Groove Dutch Barn Shed is particularly pleasing on the eye, and would make a great addition to any garden where the owner wanted a structure that complements its surroundings, as well as being functional. 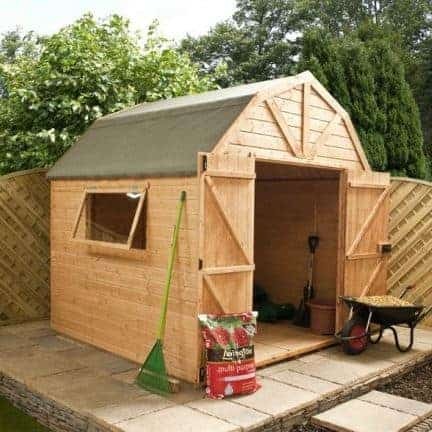 Furthermore, the arched, barn style roof not only helps to enhance to look of this wooden shed, but it also allows for additional overhead storage space. 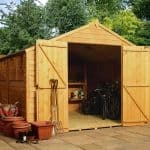 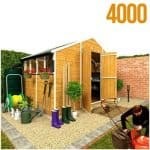 With a single, horizontally hinged styrene window and large double doors, plenty of sunlight can reach the shed – making it easier to find what is needed. 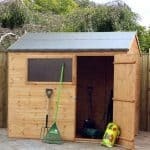 The doors also feature a lock for added security.